Each weekly print edition of the Rochester Business Journal includes a list of the top companies or institutions in a particular industry or category, ranked by a statistical criterion. 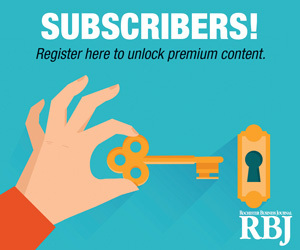 RBJ Lists are a comprehensive resource for the latest market data on the Rochester business community. What can the lists do for you? To purchase the 2018 Book of Lists, please contact Customer Service at (866) 941-4130.